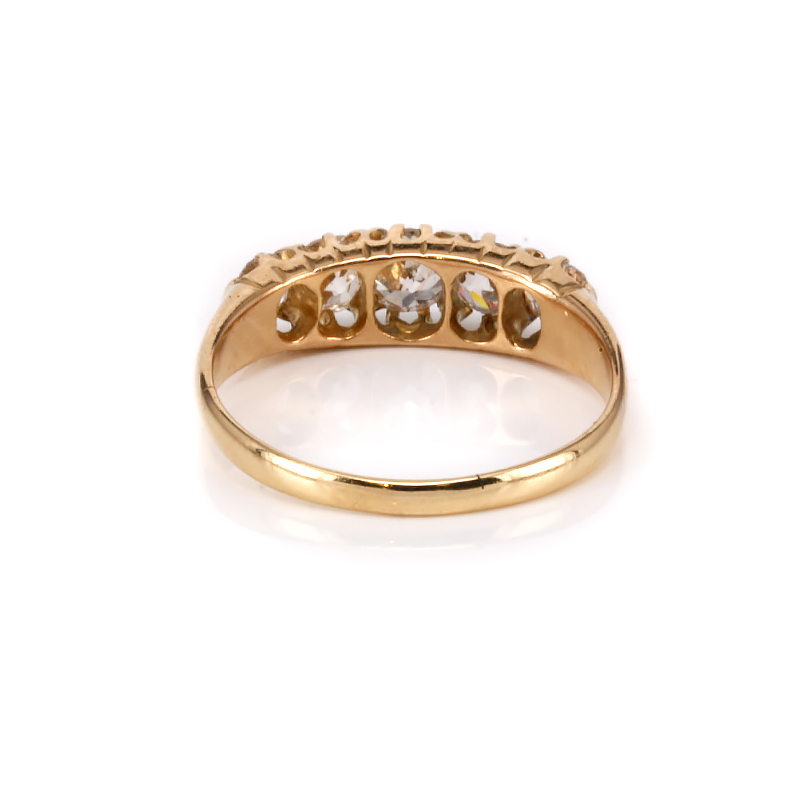 Product code: ES7098 Categories: Sold Items, Sold Jewellery, Sold Rings. 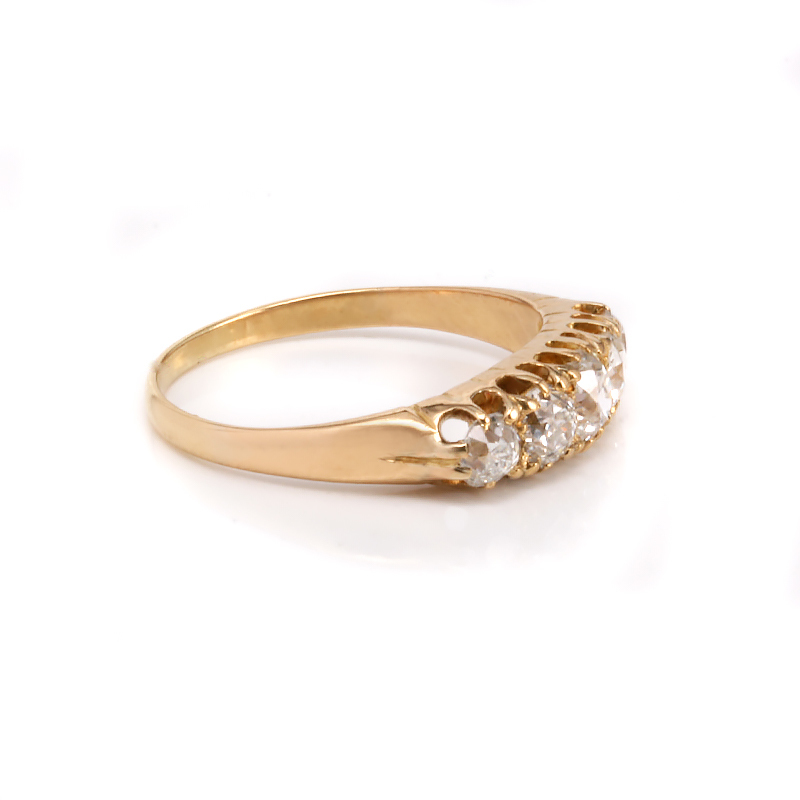 There is nothing more romantic and important as your engagement ring, and there is nothing quite like one as unique and special as an antique one, and here is a very beautiful, very elegant and very sparkly antique 5 stone diamond engagement ring that will always be loved, admired and cherished. 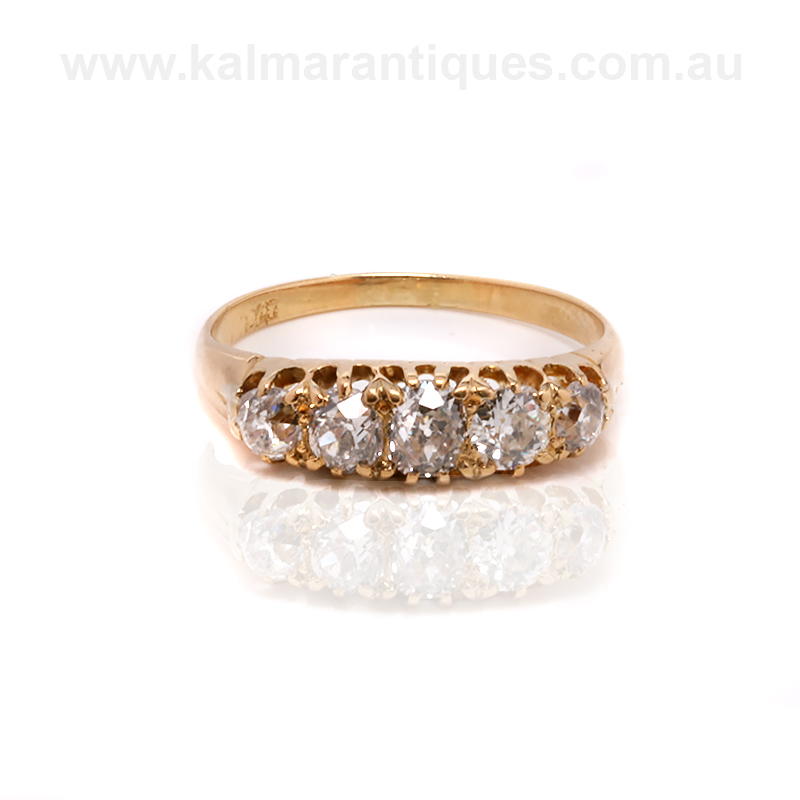 Dating from the late Victorian era of the 1890’s, this antique diamond engagement ring was hand made in 18ct yellow gold and is claw set with five European cut diamonds. The diamonds graduate in size so well and combine to a total diamond weight of 1.42 carats and are F to G in colour and Si to pique in clarity and the sparkle from these diamonds is wonderful. Combine this with the fact that they were all hand cut well over a century ago adds to the charm even more. From left to right this distance measures 17.6mm by 5.4mm and is so comfortable to wear, enjoy and admire all the time.